I met up with Vicki, Brenda, and Em at Kouzzina and we were seated inside the restaurant. The only other time I had dined at Kouzzina, we were seated outside. 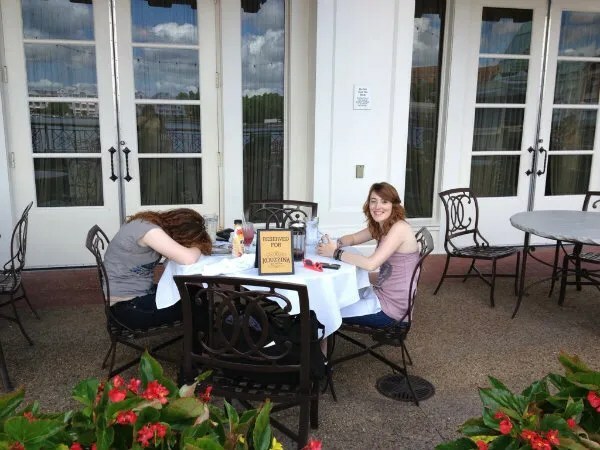 Does anyone remember this photo from that breakfast with my two daughters, one of which hates to get up early in the morning to have breakfast? Hmm…can you tell which one is anti-(early morning)breakfast? Unfortunately, this time I was not nearly as happy with my choice. As you might be able to tell from my photo, the edges of the toast were pretty burnt. But hey, at least the price of it didn’t go up in the 1 1/2 years since I had last had it. Emily chose the Greek yogurt and fresh berries (no photo available) and she said that it was perfectly light and delicious. And first a little background on the logic behind Brenda’s breakfast selection. 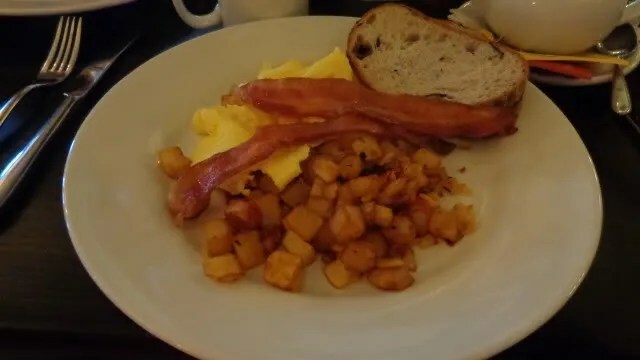 On her last visit to Kouzzina in February 2012 she ordered the Breakfast Skillet and wished she had made a different choice since she wasn’t thrilled with the potato hash. At the time she noticed someone who had ordered the waffles at the table next to theirs and thought they looked amazing. Since they had made a lasting impression she knew at some point she would try them. 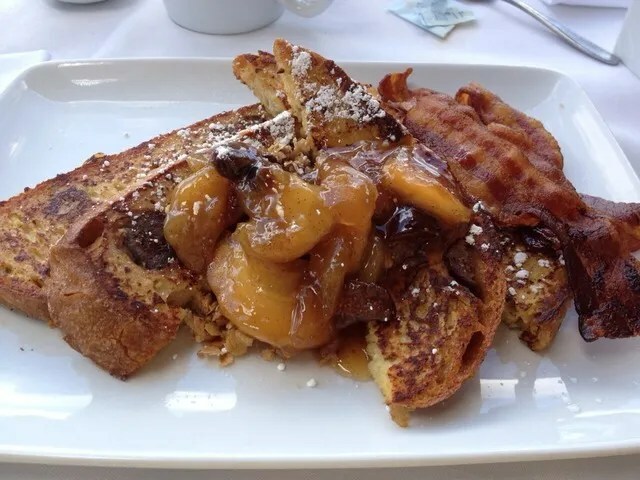 However, after reading many breakfast reviews since then about the anise fig French toast, that became a serious contender! Now she was torn between the French toast and the waffles. The waffle won out. 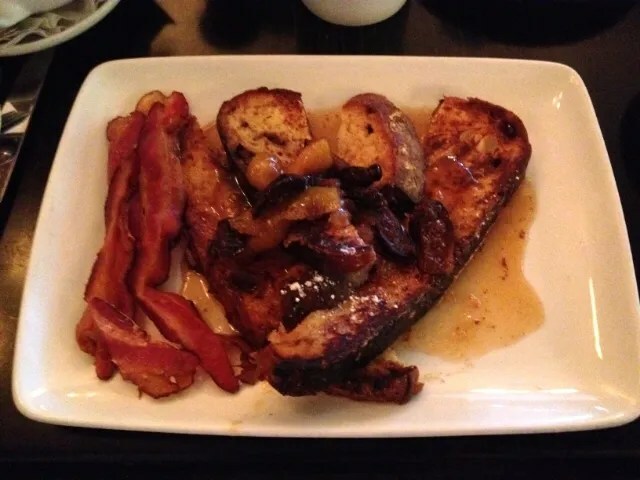 As an added bonus treat, Barb shared a bite of her anise fig French toast which was amazing!! Honestly, I think I liked this better than the waffle especially since the bite included some apple.